The European Jewish Association is the biggest federation of Jewish organizations and communities working all over Europe. 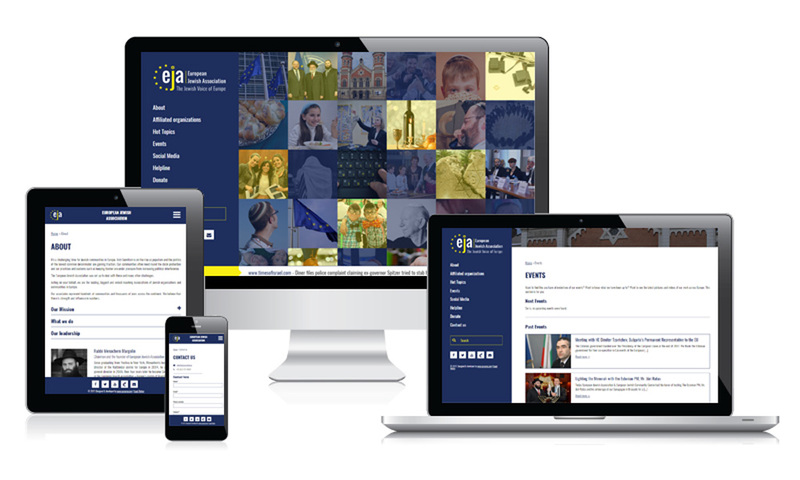 I had pleasure to design and build this website for European Jewish Association, passing by all the steps untill its launching: sitemap, wireframes, web design photoshop templates , html and css integration, and cms conception in wordpress. You can take a look on the website here. Legal notice | Terms & Conditions© 2018 Saracrea.